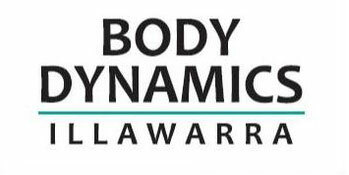 Body Dynamics provides individually designed, evidence based and effective rehabilitation programs. These programs are designed with a holistic approach to address the individual’s whole health to limit complications or secondary concerns from their injury or illness. Body Dynamics role in rehabilitation generally commences following the completion of your out-patient hospital rehab. It is of the upmost importance that post surgery, whether it is for musculoskeletal reasons or following a cardiac event, that you continue with movement and formal individualised exercise programs to obtain the most from your rehabilitation. In the case of musculoskeletal surgeries, such as knee and hip replacements, rotator cuff repairs, knee reconstructions, spinal surgeries, and even pelvic floor repairs/slings, it is vital that you maximise the function within the specific region to reduce the risk of secondary musculoskeletal concerns or the continuation of compensatory movements. Once your manual (passive) treatment has moved to more movement or active based treatment our exercise physiologist are best equipped to assist in achieving your movement based goals. We will help you achieve better movement control, through the reduction or elimination of compensatory movement bought on prior to surgery due to limitations in movement or pain. We can identify areas with movement deficits by looking holistically at the body rather than focusing just on the ‘area of concern’ as often other areas will be the cause of limitations or ‘problems’ post surgery. Prehab has long been in an Exercise Physiologist vocabulary, however is only now getting more press. Prehab is the specific activity that someone does in the lead up to surgical intervention. The reason why it is now being recognised as a vital part of surgery preparation is that research provides strong evidence supporting greater outcomes post surgery if the area around the surgical site has been ‘rehabilitated’ prior to surgery. What this means for you is that you are more likely to obtain normal or near normal movement more quickly post surgery. Pain outcomes post surgery are better and self efficacy scores are greater. In some cases we see that surgery can be postponed due to improved movement and reductions in pain during the prehab phase. 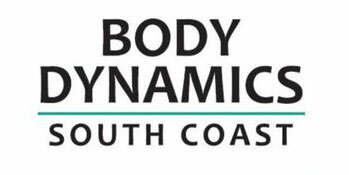 Body Dynamics has extensive experience in setting up prehab programs which limit aggravation from exercise. So if you feel you can’t move without pain give us a call to help you get set on the right path pre-surgery.